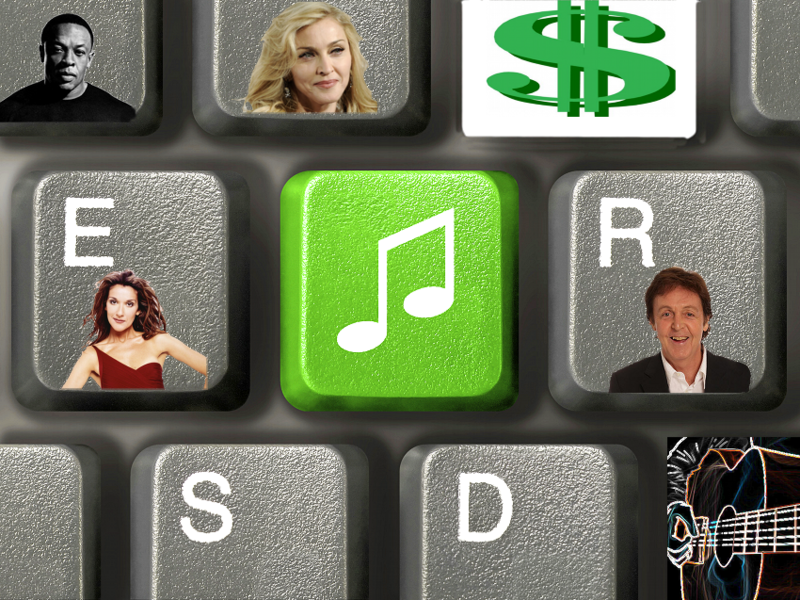 IN THE MIX WITH HK™: RECORDING ARTISTS STILL BANK BIG BUCKS! Despite record sales continuing to decline some recording artists are still bringing in big bucks. According to Wealth-X’s net worth valuation Madonna is topping the list with a whopping 800 million dollars. Sir Paul McCartney, who used to be on top, dropped to second place with $660m. Dr. Dre came in 3rd with a not so shabby $650m. I knew I should have invested in headphones. Diddy came in 4th with $640m and Celine Dion locked up the top 5 with $630m. In case you were wondering there are no financial issues in the Jay Z / Beyoncé house as they rank #8 and #10 with a combined net worth of $950m. Yeah that’s right practically one billion! That’s just a crazy amount of zeros. Do you think those estimates are right? Well, don't sweat the fact that you and I have smaller bank accounts. Waaaaaay smaller bank accounts! We'll all be living large and in charge when I fire up the decks this weekend. I'm coming at you with non-stop exclusive HK remixes on Fall Out Boy, Ed Sheeran, Taylor Swift, Charli XCX, Calvin Harris, Jessie J and One Direction. Plus brand new joints from Fifth Harmony, Lillywood & Robin Schulz and Lights. There's always some special surprises, so tune in!